Budget Bins services the entire Canberra area. So, if you need skip bin hire, we are the right people to call. And if you are not sure which skip size you require for the job, our friendly team members are here to help. 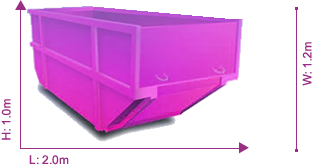 We offer a range of skip bins for hire. See bin sizes below.